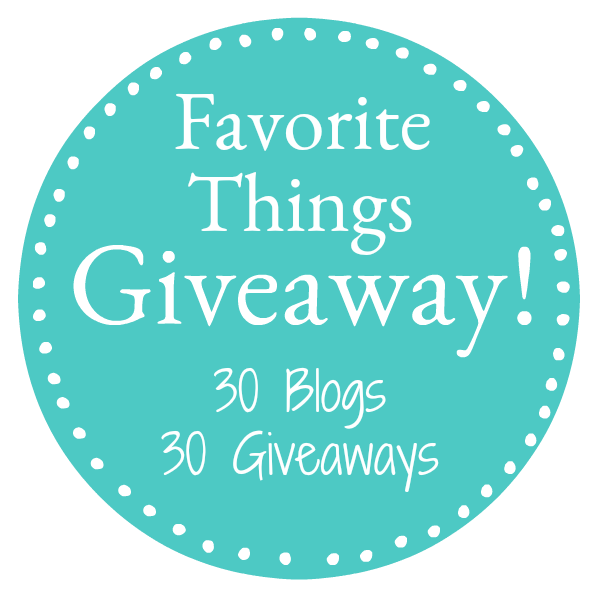 We are ecstatic to bring you the 5th annual Favorite Things Giveaway 2017. 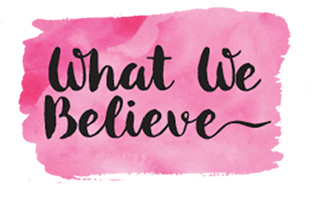 We love this giveaway, not only because we get to gift 30 people prizes, but also to give you ideas for holiday shopping! So make sure to use this as a gift guide! Scroll below to see the prizes, and hop to each site to enter their giveaway for a chance to win! 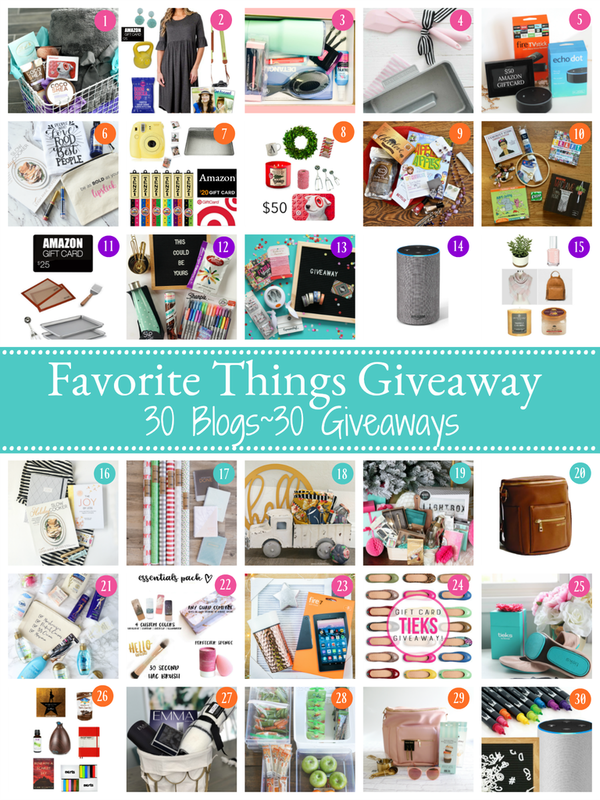 We’ve teamed up with 29 creative bloggers and we are all sharing some of our favorite things right now, and each of us will select a lucky winner! What you need to do is make sure you HOP to each of our sites to enter to win the giveaway on each site. Yes, that’s 30 in all, but you’ve got a week to do it…plenty of time! While you are there, we challenge you to click around to see what they have to share, you may just love them as much as we do! Now, here is the HOP! Click on the links below to enter each of the prizes. Somedays within the first few hours, the direct link can get broken, if that happens, click on the home page of that site to find the post or go back shortly. Giveaway ends Thursday, November 9th at midnight, so make sure you enter each of the 30 prizes. Now, time to enter OUR giveaway! A custom color match and a 4 custom color pack made up of Maskcara Beauty 3-D Foundation. We love the color options in Maskcara Beauty. First we’ll match you with the perfect Highlight color. This color should be lighter than your natural skin tone. The yellow turns a beautiful creamy color on your skin and gives you a “lit from within” glow! Next, you’ll get a contour color. This color is deeper than your natural skin tone. It creates and accentuates the “shadows” on your face, giving dimension and a beautiful sculpt to your face. Then we’ll add in some Lip/Cheek color. With so many great options you can’t go wrong with any of these colors. Cheek color brings out your eyes, and makes the face appear more youthful and warms your complexion. 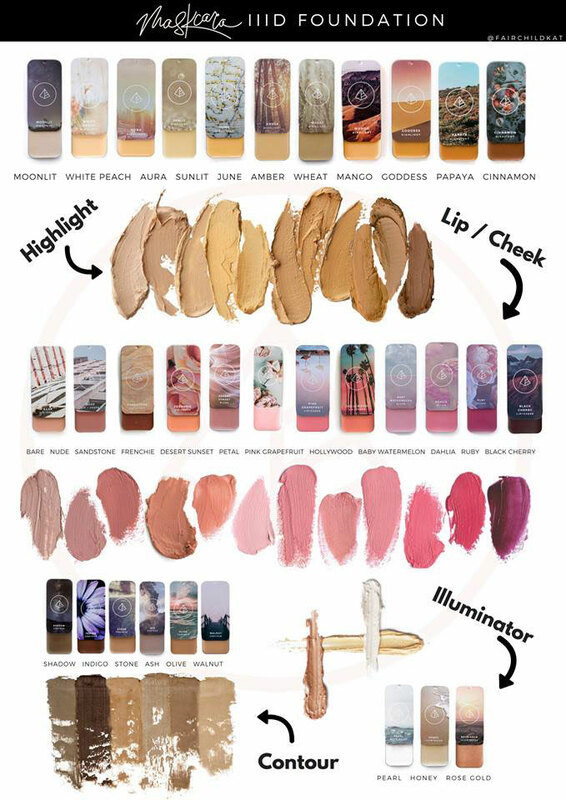 Then finish it all off with a gorgeous shimmery cream Illuminator. It gives the face a candle dewiness and perfects your complexion. 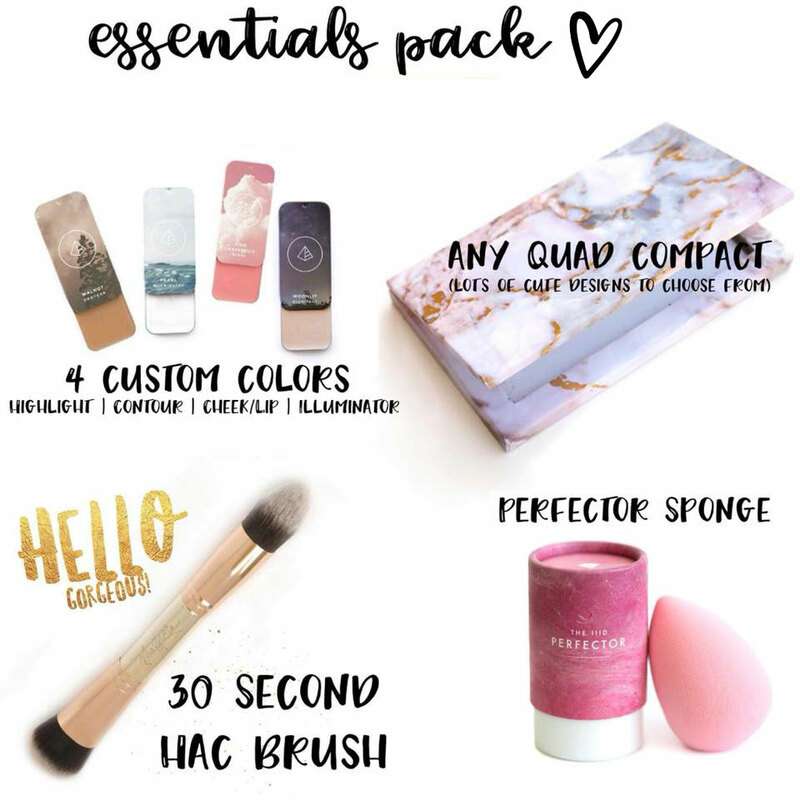 The 30-Second HAC Brush and Perfector are the perfect addition to this pack. The 30-Second HAC brush is a must for applying this creamy 3-D Foundation. And the Perfector is a great way to smooth it all out. If you don’t win and still want to try Maskcara Beauty, make sure you leave a comment or go visit our shop to order. I completed form and it will not let me submit.